You would think that you can have full control of your Windows when you are its Administrator. 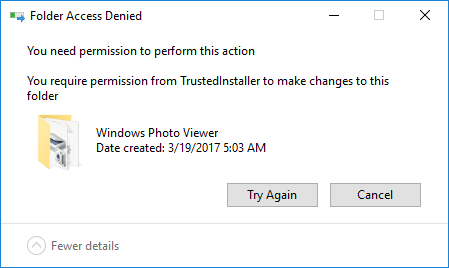 However, when you try to delete some of the files from your computer, a Folder Access Denied message will pop up and say “You require permission from TrustedInstaller to make changes to this folder.” Looks like you still don’t have the final say on your operating system. 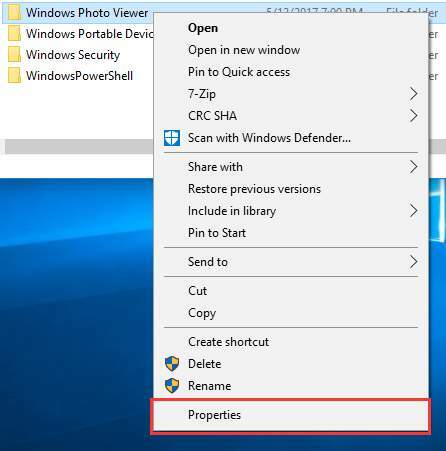 In fact, in order to protect core files in Windows, Microsoft has created a NT SERVICE\TrustedInstaller account in Windows to own these important files and prevent them from being removed. Therefore if you try to change or delete any of these files, a “You require permission from TrustedInstaller” will appear and stop you from proceeding. 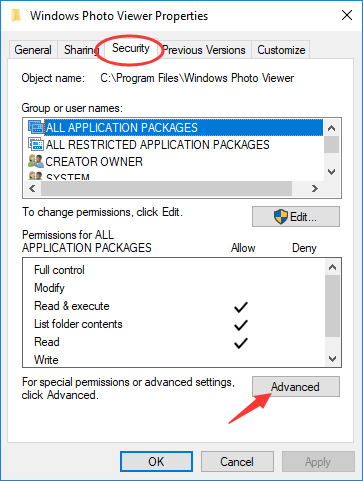 1) Right click on the file or the folder you want to change or delete, and select Properties. 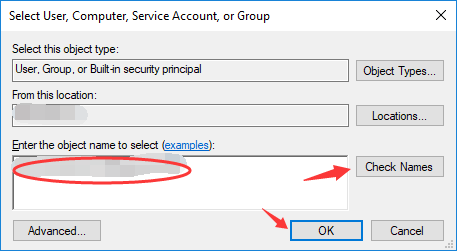 2) On Properties window, open Security tab and then click on Advanced. 3) We are now going to change the Owner On Advanced Security Settings window. 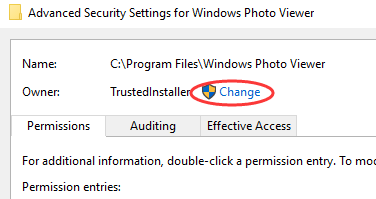 On Windows 10, you can click on Change next to Owner: TrustedInstaller. But on Windows 7 or earlier versions, you need to select Owner tab and hit Edit. And on the window popping up, click on Other users or groups. 4) On the window popping up, type the user name you are using on this computer into the box and click Check Names button. Windows will automatically check and complete the full object name. Then click on OK.
5) Tick the box next to Replace owner on subcontainers and objects if you want to apply the ownership changes to all the subfolders and files. Then hit OK to close this window and go back to Properties. 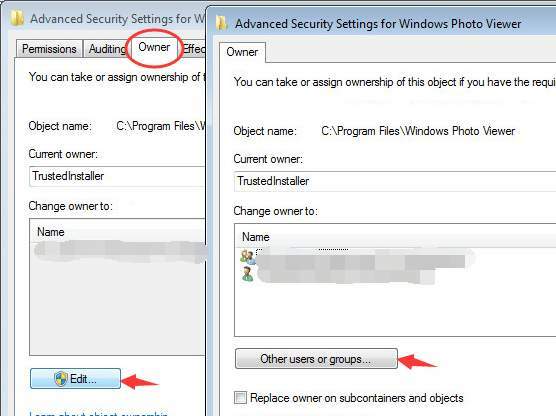 On Windows 7, the Replace owner on subcontainers and objects box is below Other users or groups button. 7) Click on Add. 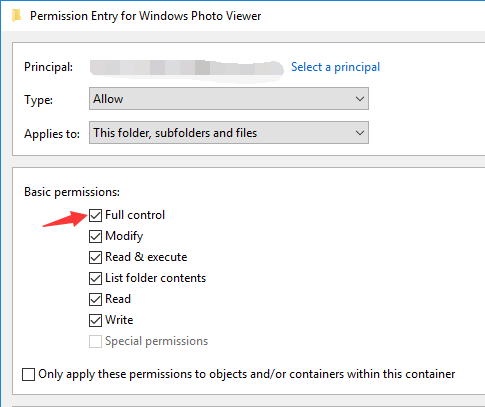 On Permission Entry window, click on Select a principal. A window similar to the one appeared in step 4 will show up again and you need to repeat step 4. Tick the box next to Full control in Basic permissions section, and hit OK. 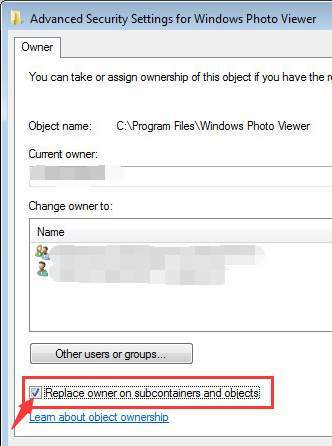 Check Replace all child object permission entries with inheritable permission entries from this object. After that, click on OK all the way out. 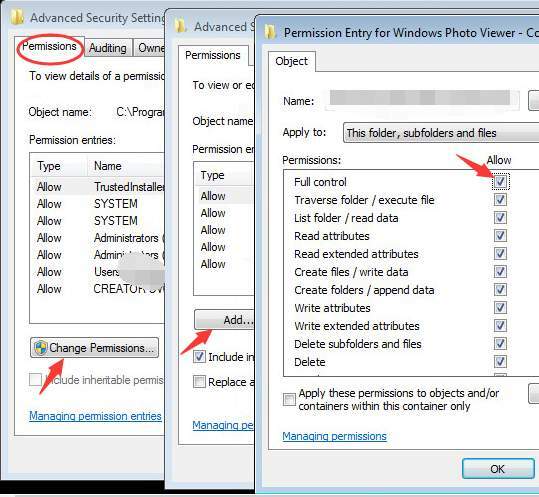 For Windows 7, you need to click on Change Permission button on Permissions tab to see Add button. Click on that and repeat step 4. 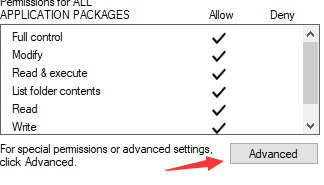 After that, check the Allow box of Full control and click OK. Check Replace all child object permissions with inheritable permissions from this object. Then click on OK all the way out. 8) Now you can delete the file that you have just changed ownership without the “You require permission from TrustedInstaller” message bothering you. You can also apply these changes to other protected files to take full control of them. But remember you should always understand the likely consequences of your full control and know what you are doing before you take any further action.